With Salvador Dali as its figurehead, the great ship of Surrealism traversed the turbulent seas of the early 20th century with sails billowing with dreams and desires. 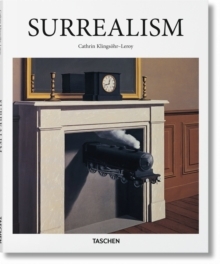 Inspired by the psychoanalytical practice of Sigmund Freud, the Surrealists championed the unconscious as the domain of truth, uninhibited by the standards or expectations of society. With techniques ranging from hypnotism to nocturnal walks to automatic writing, the likes of Andre Breton, Max Ernst, Brassai, and Meret Oppenheim produced paintings, drawings, texts, and films in which they sought to excavate their most intimate and primal instincts.